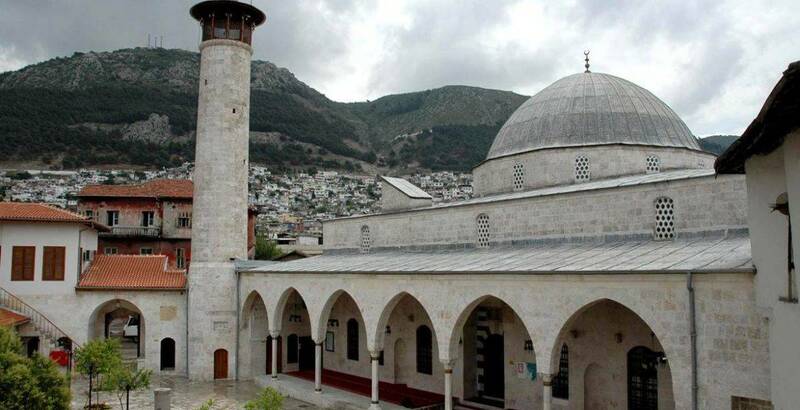 Seven good places to visit in Antakya, famous for its cuisine. Antakya is one of the oldest settlements of Anatolia, where you will experience the hospitality of nature. Although it has changed many times as an ancient city, it seems to have preserved its old features. The delicious flavors of antakya cuisine, olive oil, meat dishes, desserts, this city stands out as another unforgettable title. It is not limited to just that. Bazaar, museum, antique places, stone buildings can be very impressive items in terms of understanding the historical aspects of Antakya. Antakya Grand Bazaar is one of the city's most popular hangout places. Organic delicacies can be awaiting you on a journey where you can get thousands of quality products from dried plants to handcrafted plants. The Grand Bazaar, where you can feel yourself for 2-3 centuries past, has an impressive atmosphere. A historic bazaar where shoppers and history buffs must discover. Each city has its own unique story. Story of Antakya Is it possible to talk about Pierre independently? One of the breaks in the history of the city is based on the milan. One of the world's first cave churches and one of the first churches of Christianity, this fascinating structure hosts hundreds of thousands of Christians every year. There are quite special restaurants in Antakya where you can eat a local breakfast or a great evening. The flavor of organic food and drinks will be an important part of your private travel experience. Antakya cuisine with a reputation that transcends the limits of Turkey, from hot to cold meze dishes, delicious organic products from intermediate to warm up extremely rich, has a varied scale. You can already be excited about the world's second mosaic museum. B.C. From the 4th to the time of each devin various cultural and historical vases, under a single roof. Each of the fascinating works from the Hittite, Hellenistic, Roman and Byzantine eras has a different story. A different experience for those who like antique culture, history buffs and mosaic lovers. The Ottoman legacy of multiculturalism is antagonizing in the Vakif village of Antakya. As the only Armenian village of the Republic, Vakıflı village, which receives tens of thousands of visitors a year, continues to host its visitors with its unique life, different traditions and historical touches. The village residents, who have become popular in recent years, convey the story of the Vakif family by referring to the family elders. Witness the history, the most vibrant traces of the past, on the walls of the Victorian houses, experience this privilege. Saray with its former name, Hürriyet with its new name, has a special design especially for the residents of the city. The Saray cadet, one of the most social areas of the city, which you can find traditional / local products that are home to authentic cafes, is a must for an Antioch tour. Another city in the city called Eski Antakya starts with Saray Caddesi. In addition to the historical touch, the spirit of the city, its multiculturalism stands out here. Antioch, one of the leading cities of Turkey in terms of religious tourism. The Habib-i Neccar mosque in Antakya, an important center for Muslims, Christianity, and Judaism after Jerusalem, is a work of art. In 636, when the Islamic army conquered Antioch, Habib-i Neccar and Hz. This work, which was built at the places where the graves of John's apostles John, Yunus and Shim-u Sefa are located, also stands out as a place of visit for Christians.